I cheated and microwaved cabbage & daikon. 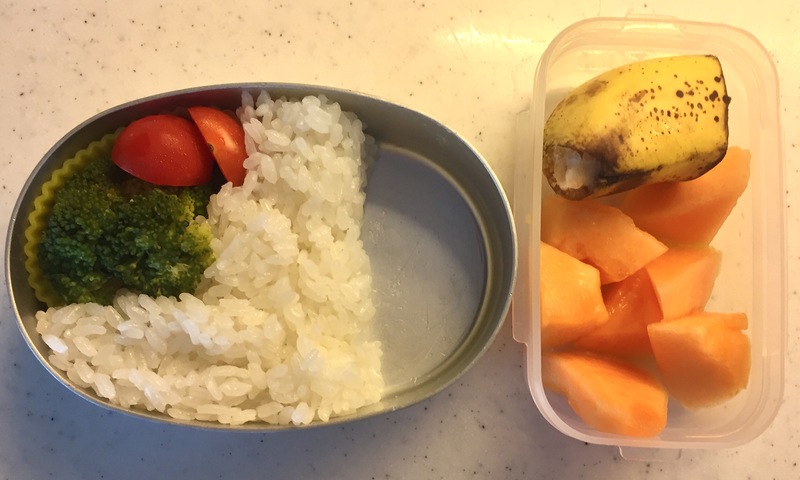 Somehow it makes me feel a bit guilty to cook veggies in the microwave, but it can’t beat to save some precious time in the morning. Once a year around this time of the year, the oldest kids at my daughter’s school make Japanese style curry as a special in-school activity. 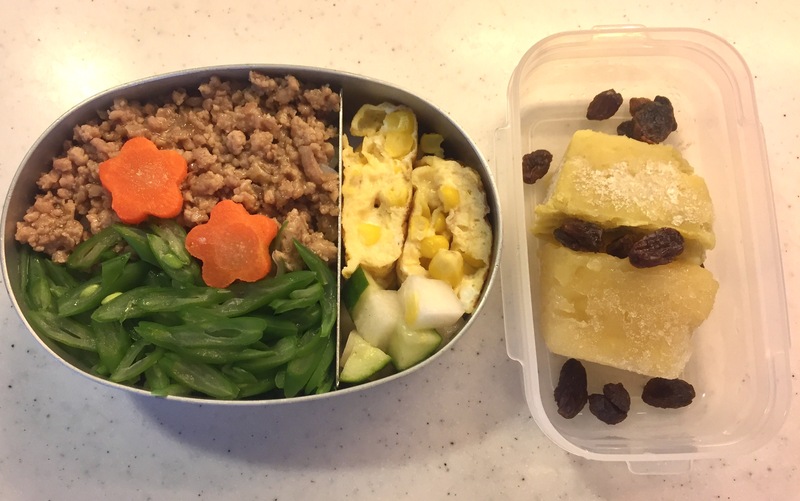 As requested by her homeroom teacher, I only packed rice (and a bit of veggies & dessert) for her bento today. 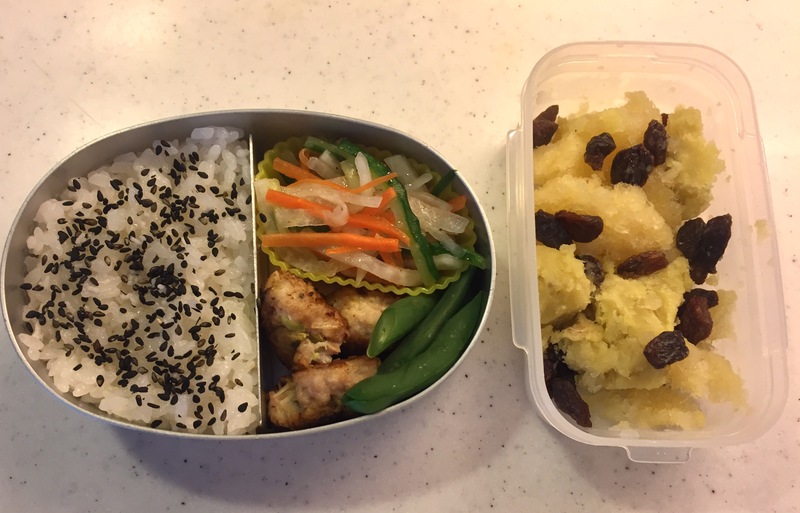 The kids will pour in their handmade curry to the empty space in their bento box. What a lovely idea, and next year, it’ll be my daughter & her friends turn. 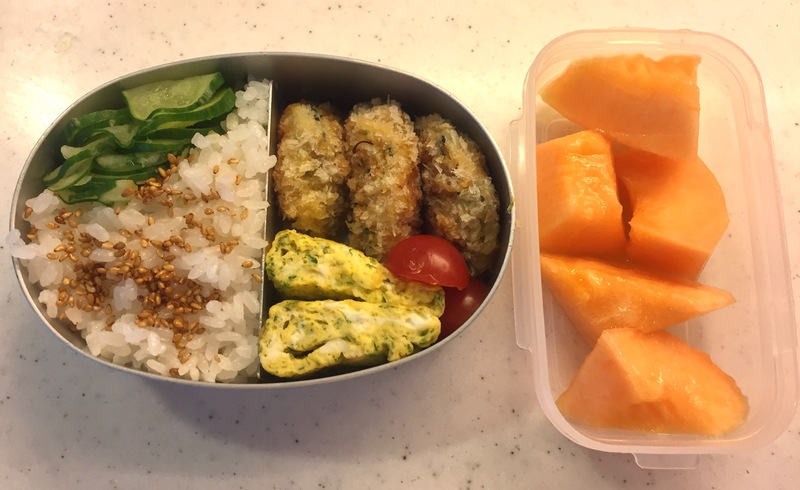 With the leftover niku-jaga in the bento yesterday, I made a bunch of croquettes as a variation by mashing the niku-jaga, applying flour, beaten egg & bread crumbs, and deep-frying them. Yes, indeed I did omit to season it with her favorite Japanese Worcester sauce this morning. The magic sauce that works wonders with deep fried food such as croquettes and tonkatsu (Japanese style pork schnitzel). I thought it wasn’t necessary because the niku-jaga was already seasoned. 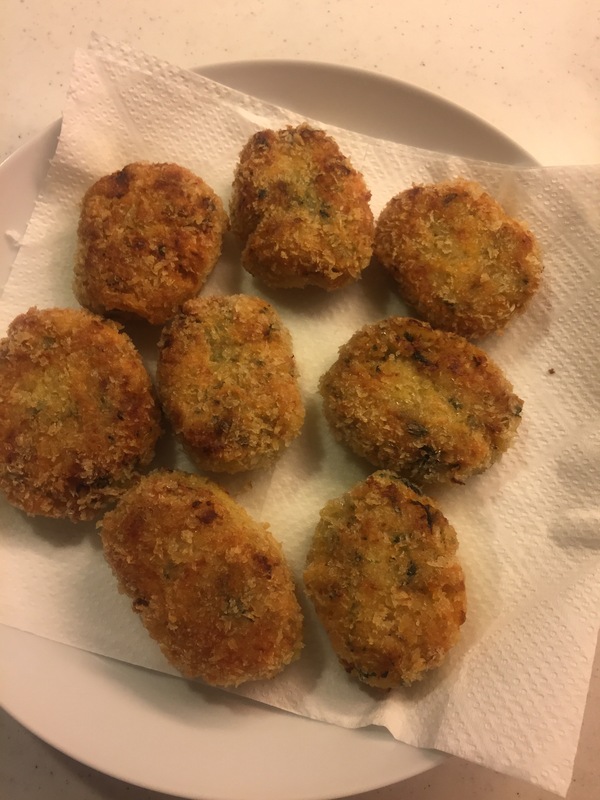 But my daughter is right, the niku-jaga croquettes do taste much better with the sauce, so I served now the leftover croquettes for dinner, this time with her favorite Japanese Worcester sauce. 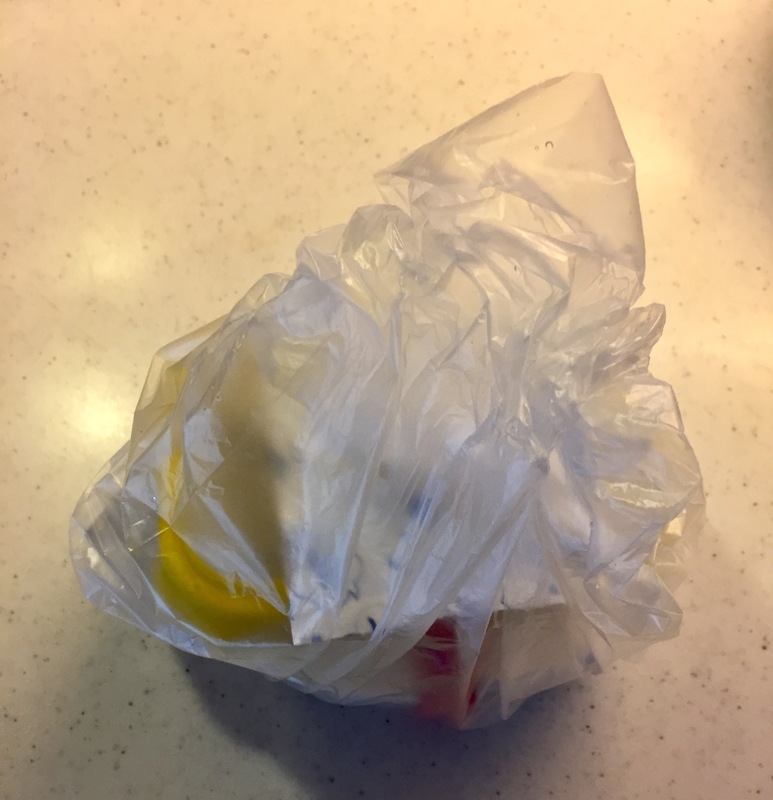 I felt a bit trapped with her teary request because I don’t make onigiri always for a good reason; it takes an extra step to make onigiri in the busy morning. I’d rather just pack freshly cooked rice, and get an extra 3-minute-sleep. Wouldn’t anyone? 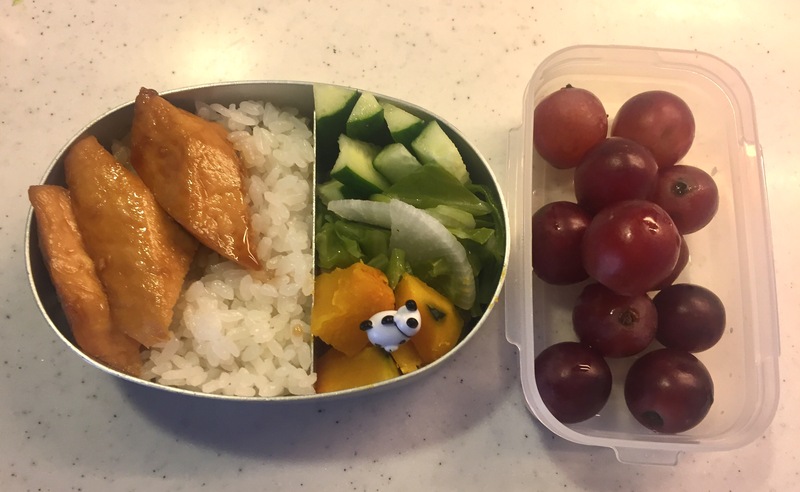 Nevertheless, I gave in and made onigiri for my daughter out of mother’s love this morning. The annual heat wave has arrived in Tokyo, with the humidity of what it feels like 120%. 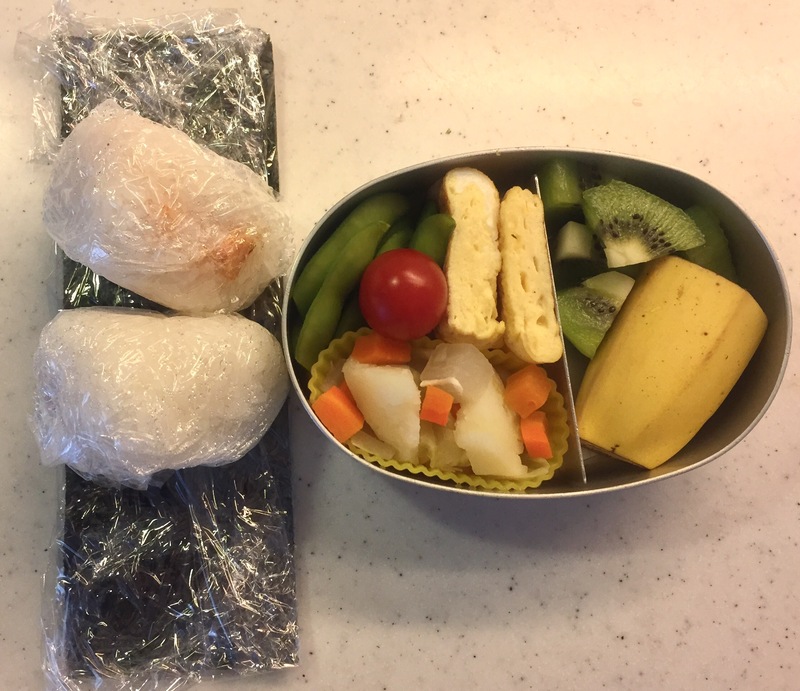 Under this condition without any fridge at my daughter’s school, I must take ‘cooling’ her bento into consideration. 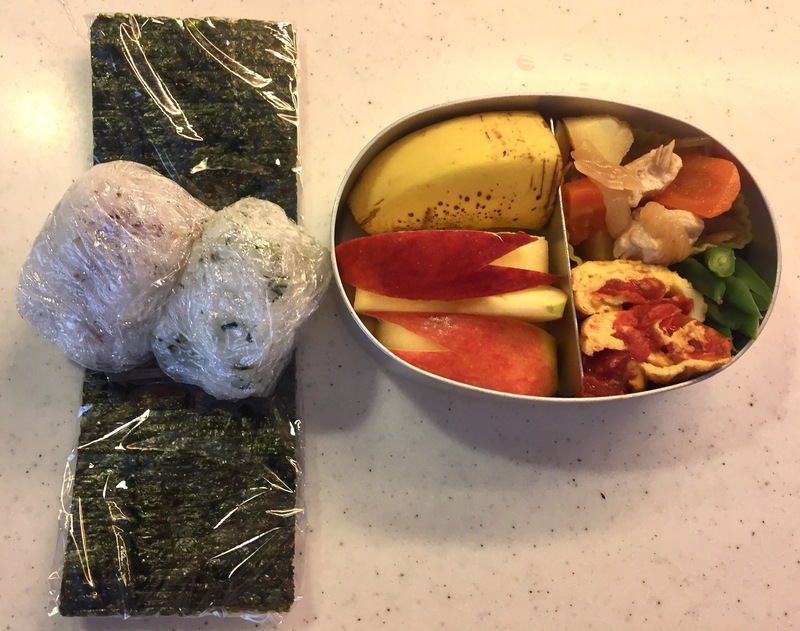 I usually put the bento box in a plastic bag, along with two ice patches from the freezer. 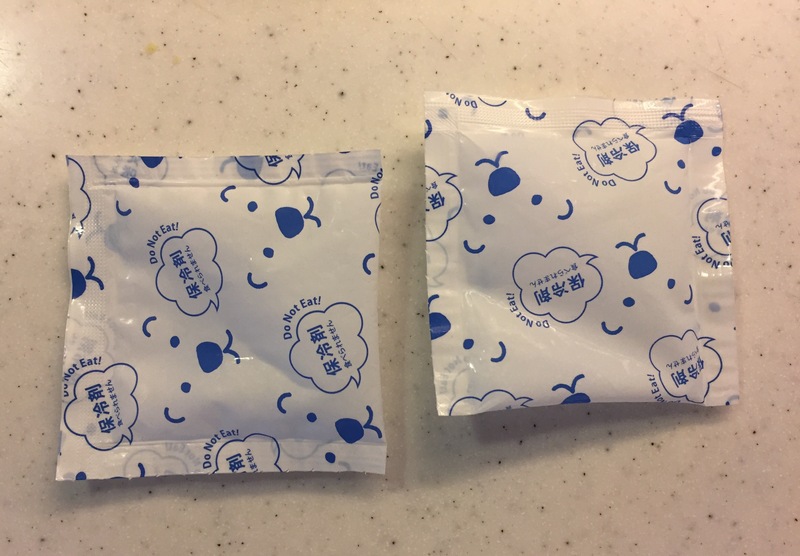 You get these ice patches from any grocery stores in Japan, since the heat is just overbearing for fresh ingredients. 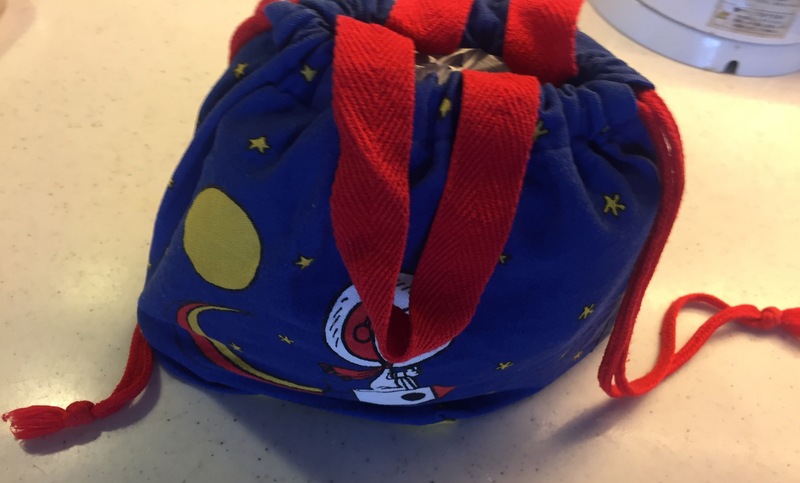 Some kids have a more effective thermos bento box or a bento bag with ice patch embedded. My solution is rather primitive, but it seems to be working just fine so far.